We’ve shared so many boho chic details on our blog lately, but this week’s Cabo destination wedding features the boho look like you’ve never seen it before! 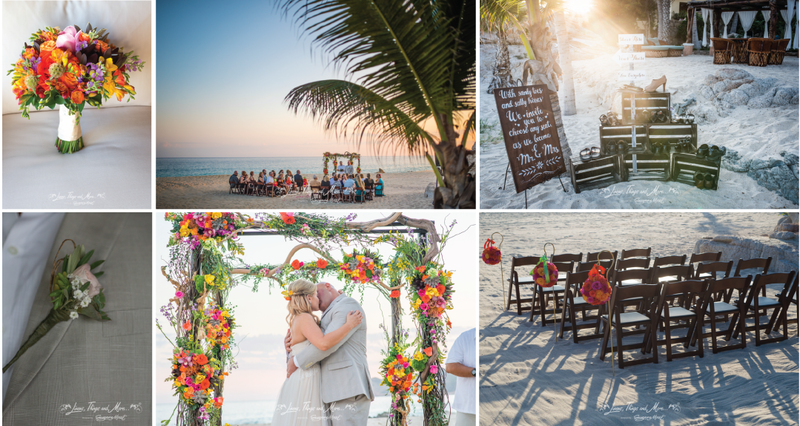 Christine and Terry rented one of Cabo’s beautiful private villas for their December beach wedding. We designed their décor collection with a natural, boho feel, but this couple made the look all their own with exciting, vibrant colors throughout their ceremony and reception! Large hanging florals and greenery are a signature detail of the boho chic trend—but why not mix it up a bit with stunning orange, fuchsia and yellow details? That’s exactly what our vendor team did for Christine and Terry and the result is breathtaking! 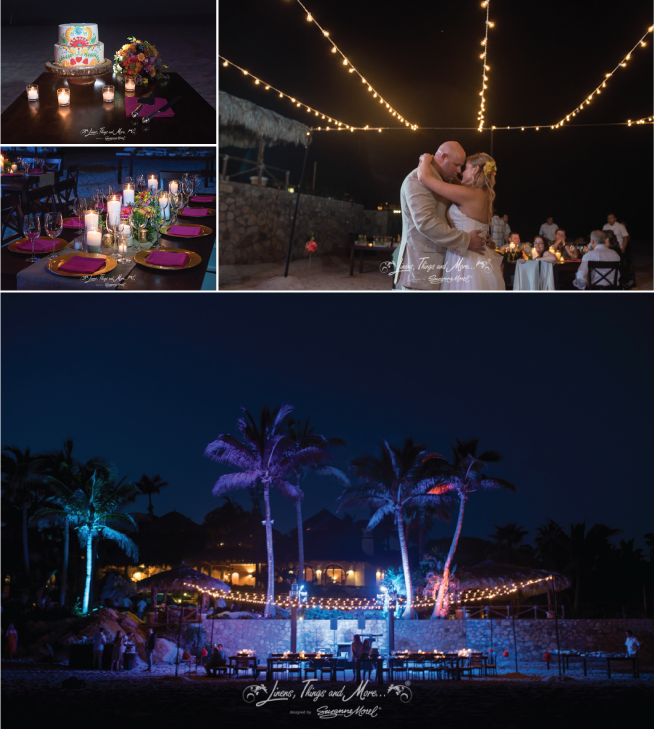 The string lighting and dark wood details always look amazing by the beach, and this colorful celebration was no exception! If you want the most unique, tasteful décor and rentals for your destination wedding in Los Cabos, call us today to see what our décor design team can do for you! This entry was posted in A Matter Of Taste, Accessories and decor, Cabo event design and decor, Cabo Floral Studio, Cabo Wedding planner and coordinator, Creative Destination Event Company, Special Event Decor in Cabo, Wedding flowers Cabo, wedding locations in Los Cabos, Weddings and corporate events decor and tagged beach wedding in Mexico, boho beach wedding, Cabo beach wedding decor, Cabo beach wedding style, Cabo wedding arch, Cabo wedding decor, Cabo wedding flowers, Cabo wedding planning, Cabo wedding rentals, colorful beach wedding, colorful wedding in Mexico, destination wedding in Cabo, destination wedding vendors, PRIVATE VILLA WEDDING, rustic beach wedding ideas, string lighting for a wedding in Cabo, sunset wedding in Cabo, wedding cake in Cabo, wedding shoe station ideas, wedding wildflowers.